Funny how many people say to me, "Oh, it was easy for you, Sally. Your children were just naturally intelligent or naturally submissive. That's why your children have turned out so well, so healthy and strong." How far from the truth, if anyone could have seen the inner-workings of our daily lives. If you are living in this fallen world, then I already know your life isn't perfect. If you are a mama, I know your children have brought issues and responsibilities into your life that are accompanied with stress, more work, puzzlement, and challenge--and push all your buttons.. Almost everyone I know feels that they have a "difficult" child, the one who is the source of challenge, and requires a lot of attention and time--whatever the reason. No matter what your issues with your child, there is a need to know others feel like you do and that there is hope in the years ahead. I am now in a place to give you great hope, as I am amazed at how faithfully God turned some impossible moments and years into strength in the lives of my children. He was faithful, it was not as impossible as it felt and my sweet ones have responded to the years of investing in their lives. Take courage and hope! As I look back on the unique puzzle God allowed me to have with the make-up of my own four, I can tell you it was a constant challenge, filled with difficulty and fraught with passages of darkness. Yet, I see that walking this path with Him and holding His hand through each turn in the road, has been life-shaping. My longing for heaven, my understanding that this is the "broken" place, and my appreciation that He will make all things new has grown deeply in my own heart. And my love for Jesus is now so very seasoned in a deeper understanding of what it cost for Him to serve and redeem His children--and he was my model as I learned the cost of a parent's love from His love and sacrifice for me. And yet, the joy of seeing His faithfulness, His amazing work of grace in the life of our family has brought deep satisfaction, to know that my labor, my dark nights clinging to Him, my putting one foot in front of the other has been a labor of co-creating life and light in our home with God as my constant companion. Rolling around on the floor and screaming and hitting my hand away, my little 17 month old boy, was exhibiting such profoundly disruptive behavior that I really didn't know what to do. Even nursing had been difficult. My first two had been easier at that age and through loving, consistent training and relationship, they had fallen into a predictable pattern expected for toddlers when they had been this age. Though I did not know that even then, one of them was exhibiting behavior that should have given me clues of what was ahead. Darkness surrounded my thoughts and nurtured defeat, puzzlement, fear, insecurity. One day, I stumbled upon putting these shoes on Nathan, that had caused us so many stressful moments, a possible solution to his tantrums. By accident, I tied his shoe laces exactly the same length and pulled them evenly across the top of his toes. He sighed deeply and patted my arm and said, "Tank you, mommy," and looked so very relieved. Surely tying his shoestrings perfectly even was not the issue that was tearing my little boy apart. But, when I tried it again the next day, he was calm, patted me again and said thank you, again. This behavior puzzled me because I had never heard of obsessive compulsive behavior before, nor did I have a clue what mental illness was, or know that it could reveal itself at such a young age. I just knew I had a vague sense that something was ticking inside of Nathan that made him so different and uncomfortable at times that he could hardly function. And then it began with another child and eventually another. Other compulsions seemed to drive moments of our children's life. This was only a tiny example of his "out of the box" behavior over the years. And then I had two other children that were clinically diagnosed with similar issues. One had over-arching irrational fears of leaving us for fear someone would die. I am not speaking of a nightmare or two or fear during a period of childhood that passes. I am speaking of compulsive, irrational thoughts, panic attacks, irrational behavior, constant fears that drive even young adults to despair, darkness over the tiniest of separations. Knowing it is irrational is one thing, but making it go away is another. Constant hand-washing, nose wiping, countless showers, confessing, anger, weeping, irrational behavior accompanied these patterns at times that differed with each child. Learning issues also invaded our lives. Daily, it seemed, we dealt with a variety of challenges. Often I dreaded the nightly dinner table because I never knew when some havoc, anger or irrationality would erupt and create conflict, again! Especially in the teen, growing, hormonal years, every malady was exaggerated. Coming to understand these years, that this was to be expected, made it easier for me with each child, as I knew the level of frantic behavior would calm a bit after the hormonal years. I was a novice learning each season from all the new challenges that came our way. Compulsive behavior, clinical fears, irrationality, hours upon hours of seeking to figure out just how to deal with the many alarming behaviors of my otherwise wonderful children, had me in and out of insecurity, pulling my hair out, trying to decide if it had to do with my discipline philosophy, wondering if I was a failure as a mother and just being plain stumped at the varied and mysterious behavior of several of my children. 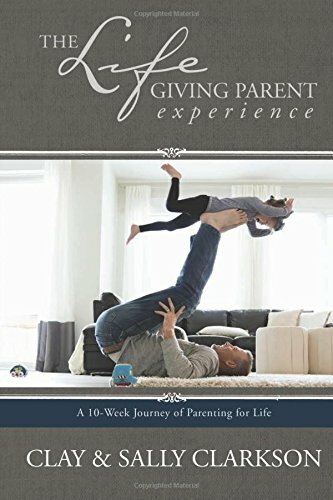 There were learning issues that required an educated understanding of how to help them grow to become their best self, how to help them cope with their disabilities, how to cause them to flourish and believe that God had a great plan for their lives. Clay and I are not in any way perfect but generally loving, devoted, fairly constant, stable people in most ways and this unusual behavior was difficult for us to understand. The problems our children suffered were not a result of our own behavior as parents, but they were internal issues that came with the children when they were born. This understanding helped us accept the limitations of our family and to learn to take one day at a time and to yield our burdens into God's hands. We began to understand that our children could grow stronger, could mature, but they would never totally change--their stripes would be the same their whole lives, even as with us as adults. 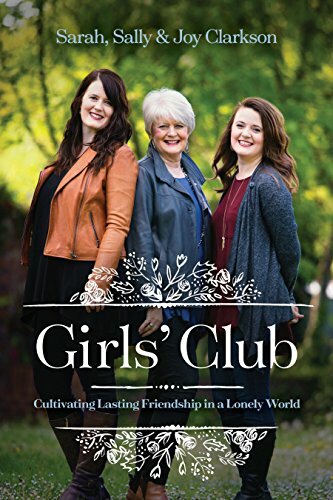 Loving my girls for who they were on the inside, as God had shaped their unique personalities. But the starting point toward health for the children and for us, was when I decided that God had made Clay and me the parents of our children and we had the freedom and authority to train, love, pray for and figure them out without having to follow formulas or expectations of others. Faith, education about their issues, lots of love and grace, perseverance and patience--old fashioned virtues were the keys to our ultimate favorable influence over our children's lives. Formulas would never have worked with my children, because each of them was extremely different and they had different weaknesses, strengths and a variety of neurosis. Healthy relationships, predictable rhythms of life, love covering a multitude of sin, forward speaking into the great people they would become and a watering each day of their hearts with the word of God, as well as their minds memorizing His truth. Then prayers over them every day, out-loud, cherished before the throne of heaven together went deep into their souls. Many of my friends said,"You just aren't spanking enough!" "Oh, that child is normal--they are just having a hard day. it's all in your mind." "That is perfectly normal behavior--they are just tired today." "You are just tired today." "It can't be that hard." Very few people wanted to listen to my queries or questions or when I asked them about the erratic behavior of my children--longing for guidance or insight of any kind. Some acted embarrassed when I was vulnerable, some blew it off as though I was just an overly sensitive mama. And the words emotional or mental illness made everyone uncomfortable. Loneliness is a part of the pathway when God has allowed us to have children who are a little bit more mysterious. But in the loneliness, I grew deep roots. Some people communicated shame to me at the thought that my children had these issues. Demon possessed, I heard more than once, from sincere supposed Christian friends. Accepting my boys, as they were, their antics, noise, issues, testosterone--that made them wild boy types, believing they would grow up to become heroes.. But I knew in my mama intuitive heart that it was something else. Turns out, these many years later and years of becoming a student of some emotional and mental illness issues, that I have come to understand my children, and myself. I have lived long enough to see that, even though some of their personal behavioral issues were quite extreme, and their maladies were real, they all function now, most of the time, with responsibility, love, a good work ethic and have grown up to love God. And yet they live within the limitations of themselves and still deal with issues. But now we have come to understand more, to be patient, to not overreact, and always to learn more and always to seek new research of what will help long term. It comforted Sarah when she read something from Madeleine L'engle about all artists being a little mentally ill. Maybe that was it--these problems were there with all who were creative. Watching "Beautiful Mind" comforted my children, that others shared their strange darkness. Reading the stories of others who had their issue, helped them to have hope that they would live a productive life. *that they would be able to do age appropriate work at exactly the time the "experts" say they should. *That their children would not embarrass them or misbehave in front of others. *That they would walk with God in the same traditions and ways they had lived as parents. That they would just fit in. And when they do not fit in, mamas can feel ashamed, embarrassed, like they are a failure. Don't they know, "Man looks at the outward appearance, God looks at the heart." "It is my fault that they aren't achieving," "I am failing, I am not doing enough, I can't do enough, I don't know how to do enough." Or what's wrong with this child? Why can't they just be ____________? All of these thoughts lies, false expectations, worldly values. We must understand, we are never in control of the wild, free spirit inside of our children. That is why we must live, daily, yielding their lives into the hands of the one who knows them and has designed them for His own good work. God made children in all shapes and sizes, all sorts of personalities, all sorts of skills and potential and differing levels of health--emotionally, physically, mentally. There is no standard "right" kind of child or adult, except in our false worldly standards. Why do we attempt to make all of our children "fit in" when God created all of us to be different? And then there is the fall--creation has been damaged by sin and there is no perfect person, not even you. The capacity for being damaged goods is great. Not only are we fragile physiologically, but often the scars of our lives make us fragile. All of have sinned and fall short of the glory of God. Jesus said, "In this world you have tribulation, (trials)." Some are blind, some have hearing problems, digestive, diabetes, physical deformities, cancer, seizures. Some are angry, fearful, sad, depressed, incapable in some way. There is no promise, no guarantee that in this world, we or our children will have lives without pain or calamity. If this is true, then why do we strive so much to conform, to fit the norm, to pretend that anyone should ever expect all of their children to be without issues or problems--or differences. I found out that the mental illness in our family was hereditary and will probably be in every generation. My own family tried to stuff the problems below the surface so no one would notice. "Ignore it and maybe it will go away," was their philosophy. Clay's mom had a clinical sort of compulsion. My brother was bi-polar, angry, not all together at peace with his life, until he died. We all need to be able to live gracefully in our realities with ourselves and with our children. We need each other's help and compassion, not fearing condemnation or criticism for what we might be doing wrong. But it is time to agree that we need freedom to live within the limitations of our own personality, abilities, behavior, maturity and seek to make peace with who God has allowed us and our children to be in this broken world. Only as you accept limitations as a part of life, only as you accept your puzzle as a place God can bring glory, that it is your place of spiritual worship, can you begin to breathe His grace to take you through all the days--difficult and blessed. Challenging and so very joyful. 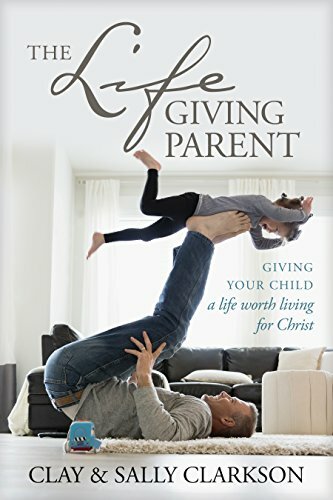 Give the gift that parents are called to give! One of the best gifts you can give to your children is to love them as they are, to speak words of acceptance and appreciation for them exactly as God has made them. Words of "I believe in you--your dreams, your potential." "I am so blessed to be your parent. You are a gift to me, a kiss from God." "I will always be here for you, no matter what each of your days hold, you can count on me to support you and to help you. And God is on your side--He loves you so very much. You are very precious to Him." The way our children will believe that God loves them is by having us be His unconditional love--His hands, His voice, His blessing, His patience, His call on their lives every day. Join me today in my video as I share my own journey through mental illness and learning disabilities with my own children. Be sure to register for the 2015 Mom Heart Conference! We can't do without you! Newer PostLove this community! Thanks for letting me hear from you! Come to the Mom Heart Conference!